The SureGrip fingerless glove is designed to help you maintain your independence by ensuring greater grip and support. The unique textured palm allows you to grip and turn more safely and securely. One of our best-selling wheelchair gloves. 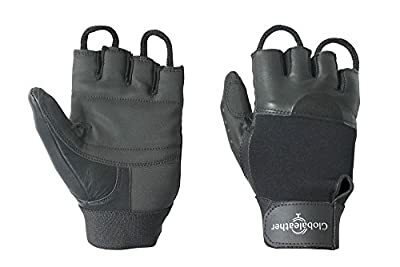 The Globaleather SureGrip fingerless glove gives you more freedom while still maintaining its grip, with additionally having looped finger pulls making it easier to take the glove off.